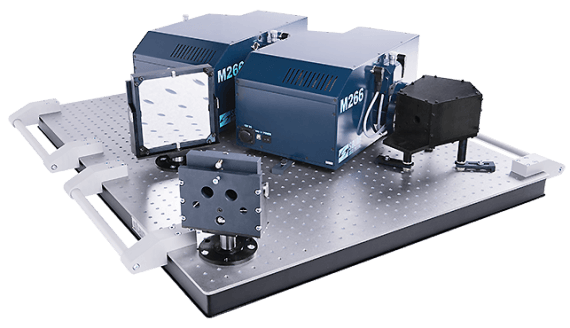 Monochromator-spectrograph M266 is available for order in the double-dispersive scheme modification – Double M266: in that case, the output slit of the first M266 becomes the input slit of the second M266. Due to larger focal length and dispersion addition, the twice-better spectral resolution and lower stray light are achieved. Effective transmission of radiation from a source into monochromators can be realized with variety of options, such as spherical and toroidal optics, optical fibers. Upon your request, spectral slit with blackened blades can be supplied.